John Paul II on December 25, 2002 during the Christmas’ “Urbi et Orbi” said: “Christmas is a mystery of joy! The Church shares in this same joy, surrounded today by the light of the Son of God: the darkness can never obscure it. 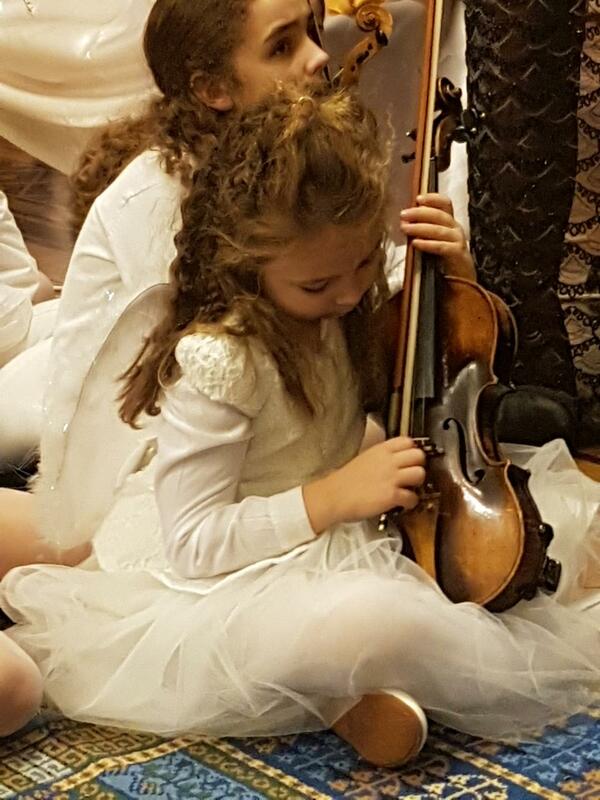 It is the glory of the Eternal Word, who out of love has become one of us.” Although, the Christmas time ended already in the Church’s liturgy, in the Polish tradition it is still on-going until February 2nd. In Churches there are still Christmas nativity scenes and Christmas trees; we are singing Christmas carols and we are expressing to each other Christmas wishes. 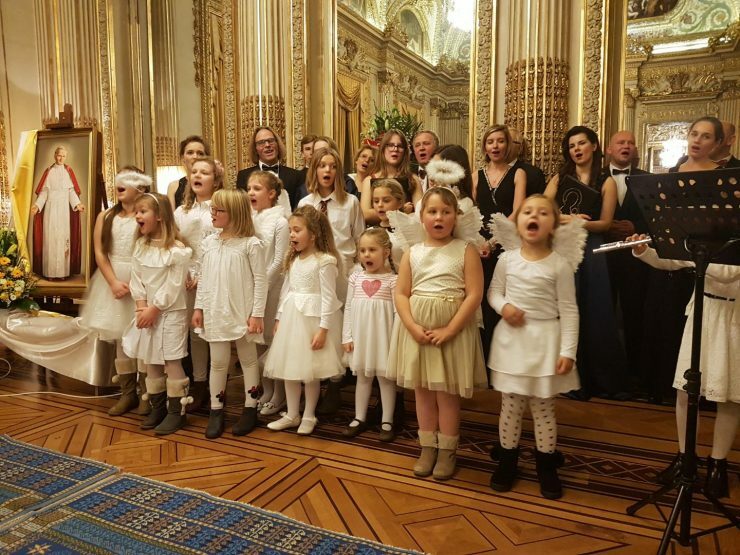 Every year, at the end of January the French Chapter of John Paul II Foundation organizes Christmas Wafer meeting at the Polish Embassy in Paris. We continued this tradition this year as well. On January 27th, members of the French Chapter, guests, and friends came to the beautiful Polish Embassy. We were honored with the presence of Father dr Krzysztof Wieliczko OSPPE – Administrator of the John Paul II Foundation in Rome; Rector of the Polish Catholic Mission in France, Fr. Bogusław Brzyś; Vice-Consul, Jaromir Cysek; representatives of the Chapter’s Board: Mr. &Mrs. Brzakowski, Rogowski and Tomkiewicz along with other members of the Chapter; representatives of the Consulate; translator, Ms. Jolanta Niedziela Thibault. We were also honored with the presence of Countess Isabelle d’Ornano – long standing benefactor of the Foundation. At the beginning, the Vice Consul referring to the Polish tradition of sharing the Christmas Wafer welcomed all guests and members of the Foundation and made a New Year’s wishes. Then Mr. Daniel Brzakowski, President of the Foundation Chapter, expressed his thanks to the Administrative Board of the Foundation and the Chapter’s Board for their commitment. Then, he summarized last year rich in events. 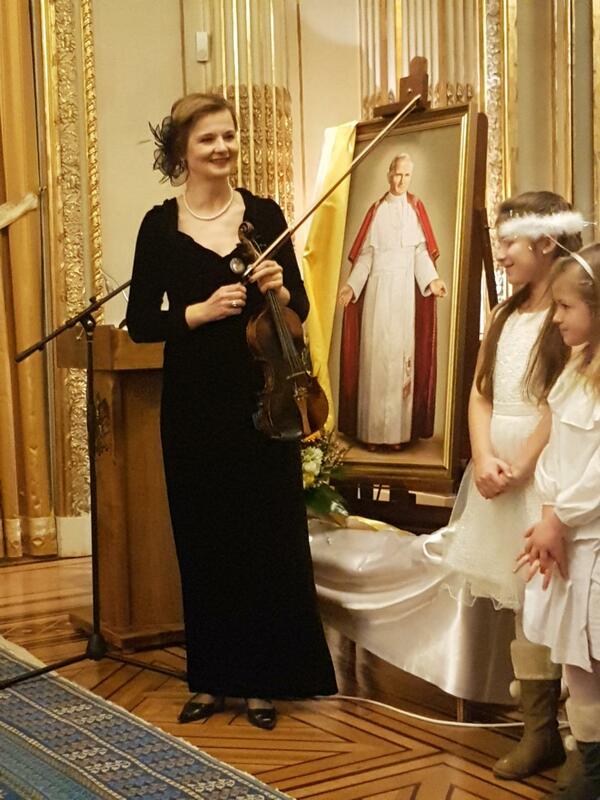 These were mainly the celebration of 40 anniversary of Karol Wojtyla’s election to the Holy See, as well as the 100 anniversary of Poland’s independence. At the end of the speech, Mr. Brzakowski presented the action plan for the Foundation Chapter for the year 2019. The Saturday meeting of members of the John Paul II Foundation Chapter at the Embassy was a beautiful and solemn experience for everyone. A lot of joy and warmth brought our guest from Rome: Father Krzysztof Wieliczko, who in his speech not only expressed his gratitude to the President of the Chapter and members of the Foundation for all good deeds they did for Saint John Paul II and the entire Foundation, but also mentioned the Great Compatriot. The great Pope John Paul II– said Father Krzysztof – during the 27 years of his pontificate, taught us how to be Children of the light. Pointed the way to God and taught us to love another human being. 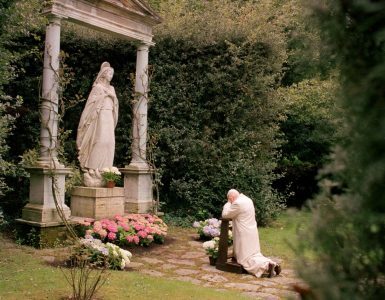 Today, in spite of the different types of the darkness of this world, he, as Saint John Paul II from the height of heaven helps us in our pilgrimage of faith to God and continues to intercede for us in heaven. 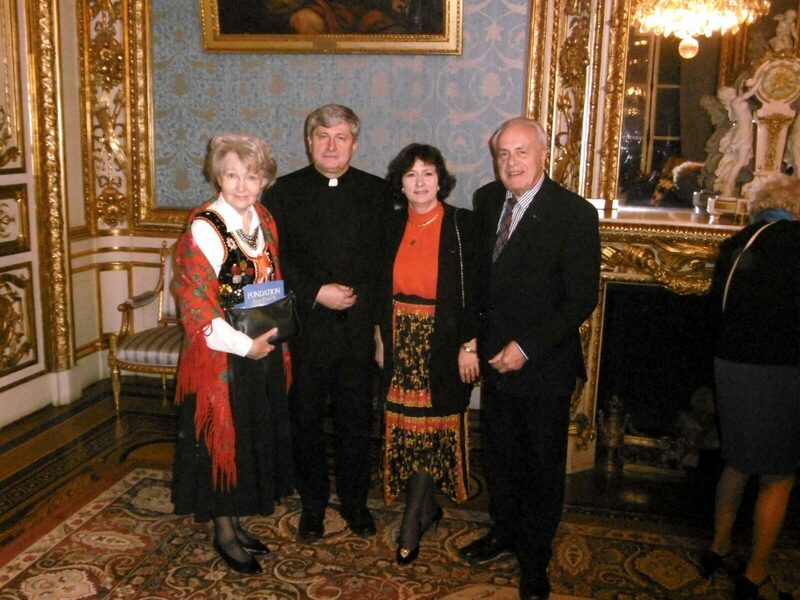 Unfortunately during the evening Christmas Wafer meeting, Bishop Józef Staniewski – former scholarship recipient of the John Paul II Foundation was not able to be with us and whom we were hoping to see. At the same time the 34thWorld Youth Days were ongoing in Panama. The Holy Father Francis “took” with him Bishop Stanicki. However, Father Krzysztof Wieliczko, ensuring us about the spiritual connection of Bishop Staniewski, on his behalf and in his own name made sincere wishes. – Let Saint John Paul II from the height of heaven bless you and support you in everyday life, said Father Krzysztof – and God Child let you, your families, your all friends and all members of the John Paul II Foundation in Paris and throughout France be filed with the light of the Son of God. The evening continued with a music concert during which we listened to Christmas carols sang by the choir “Totus Tuus”. 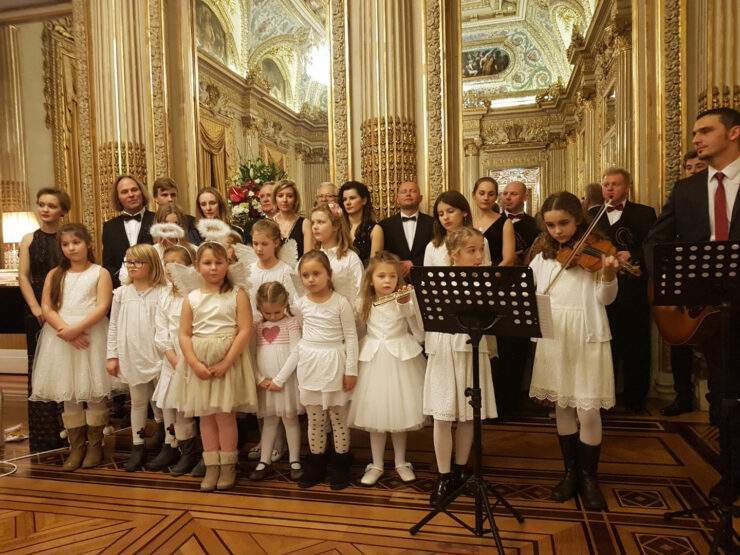 The choir is active by the Polish Catholic Mission in Paris. Ms. Urszula Cuvellier Szoja is directing the choir. 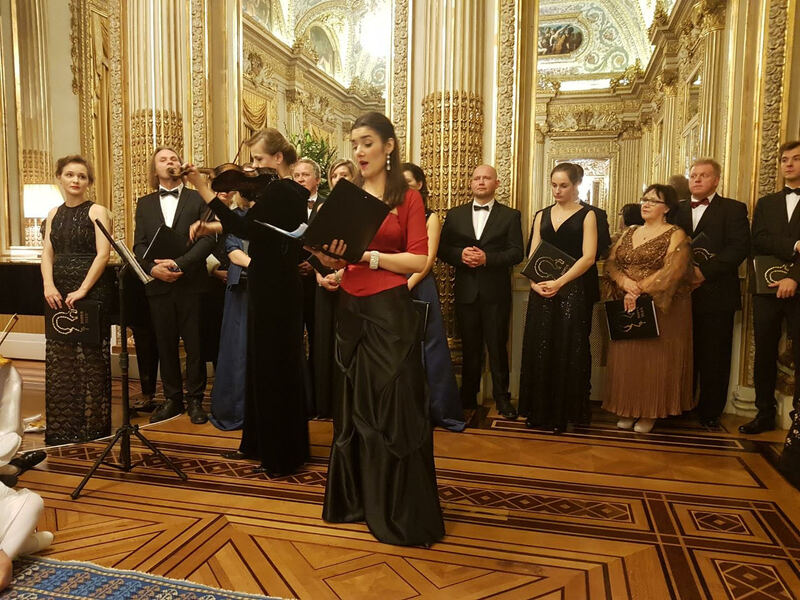 The concert also featured Ms. Dominika Gajdzis-Paczkowska, singer of the Paris Opera House, and the children’s choir “Miriamki” from Saint-Denis, under the direction of Ms. Urszula Cuvellier Szoja and Mr. Łukasz Strojek. Mr. Karol Kasak played piano. At the end of the concert, who put us into the “magical world” of Polish carols, those which are popular and less popular, we jointly sang “God is born” („Bóg się rodzi”. After this, beautiful artistic part, all participants were making wishes and breaking each other’s Christmas Wafer. The Christmas Wafer was blessed by the Rector of the Polish Catholic Mission, Fr. Bogusław Brzyś. The evening continued with conversations while deflecting delicious Polish dishes, cakes, and French wine. The next day, on Sunday January 27th, we gather at the Eucharist in the Assumption of the Virgin Mary Polish Church in Paris. The holy Mass was celebrated by the Pastor, Paweł Witkowski along with Fr. Krzysztof Wieliczko. We gathered at altar of the Eucharist, to give homage to God, but also to give thanks for the gift of the life of Pope John Paul II and his work – the John Paul II Foundation. We prayed for all members of the Foundation, as well as for the Holy Father, Francis, who was participating in the World Youth Days in Panama. Let our participation in the Mass be, at first, our searching for God and expression of our gratitude for all the gifts we received through the intercession of Pope John Paul II. Father Krzysztof in his homily brought closer to us our Great Compatriot pointing out on the special grace which our nation got from God. 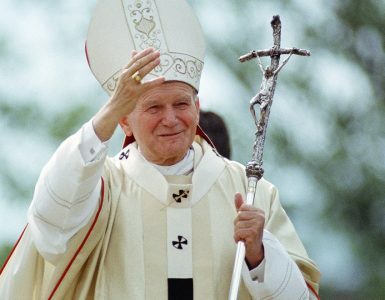 Today, we gathered together to gives thanks to God for the great gift-our Saint John Paul II – said Father Krzysztof starting with these words his homily – this is a special grace for our nation, that God has given us to be the generation of John Paul II, which visually saw, touched, or heard the Holy Man. Many of you had the opportunity to listen to Him in Poland, or here in France. 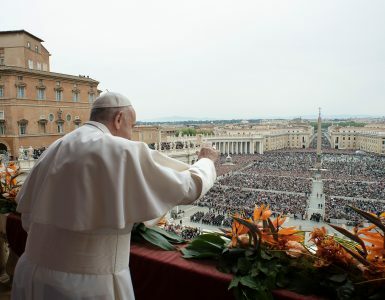 Many of you were in Rome, in Vatican, to hear, to touch, to see this Saint Person. Not always somebody has a chance to meet, see, or talk to a saint person. We did receive that opportunity. Today, we are giving thanks to God for this great gift. 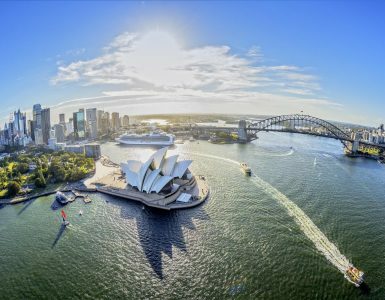 In the homily which continued alluding to the first and second reading and the Gospel, the celebrant referred to the life of John Paul II, asking the question – Was His life easy? At the end of the Holy Mass, Father Krzysztof expressed his gratitude for the joint prayer to Father Paweł Witkowski, Pastor of the Church, president of the Chapter, Daniel Brzakowski, the entire Chapter Board and members of the Foundation. After the “Angelus” prayer („Anioł Pański”) priests and members of the Foundation went to the statue of John Paul II, which is located in front of the entrance to the Church, to place flower arrangement. We are grateful to Father Krzysztof Wieliczko for his presence among us, for the celebrations at the Embassy, as well as for prayers and Masses. We wish Father a lot of strength and God’s blessing for the year 2019. The gratitude of all members of the John Paul II Foundation Chapter, we are expressing through our words that we will not stop in efforts to direct our daily life towards holiness following the example of our Saint Compatriot. Let us be the man who fulfill his/her calling to the end, finding as John Paul II did, courage and strength to be the salt of the earth and the light of the world.